I remember helping my mom make sweet bread and butter pickles as a child on the farm and I always thought they were the most awful thing ever created. 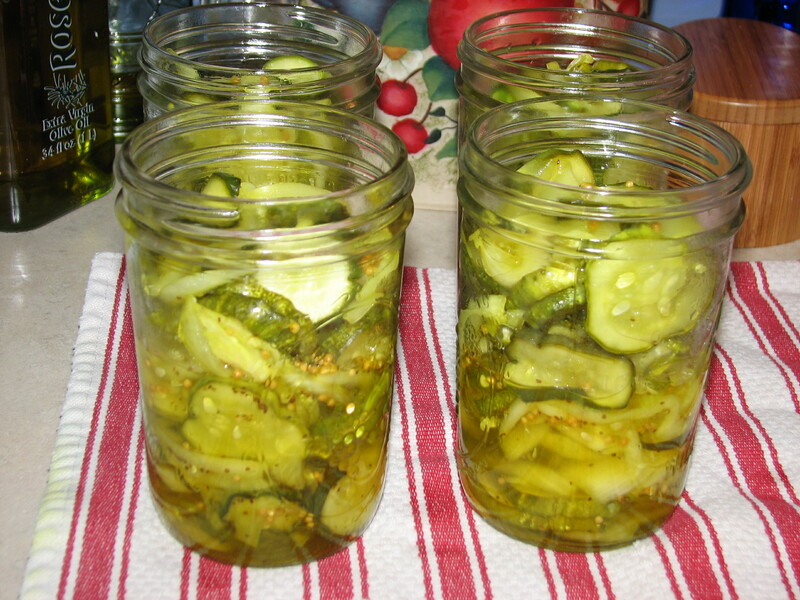 As I got older, I realized the bread and butter pickles are very good all chopped up and put in chicken or tuna salad. The sweetness of the pickles just makes the salad. I decided to try to make my own creation from the cucumbers in my garden and I am amazed. Love the concept of fresh goodness from my fruits of labor inside a canning jar. Enjoy! In a very large bowl, slice cucumbers, onions, and banana peppers and toss well. Sprinkle the kosher salt and mix well. Cover and let marinate for 3 or 4 hours. The salt will allow the cucumbers to sweat and will become brine, just toss the vegetables once or twice in the 3-hour span. Drain all the brine out and lightly rinse the pickle mixture with water. 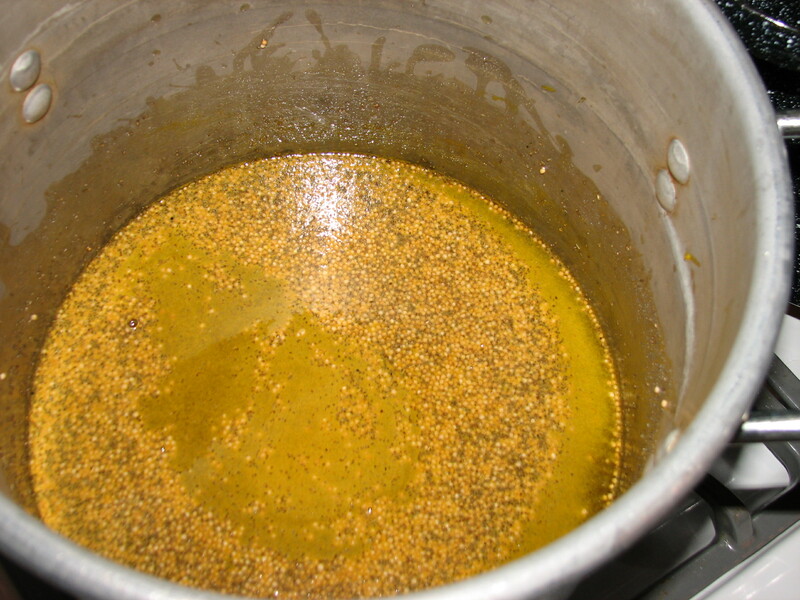 In a large stockpot, add the sugar, apple cider vinegar, the spices and heat until all the sugar has dissolved. Add the pickle mixture and mix well, heat until the mixture comes to a boil. Remove from the heat. 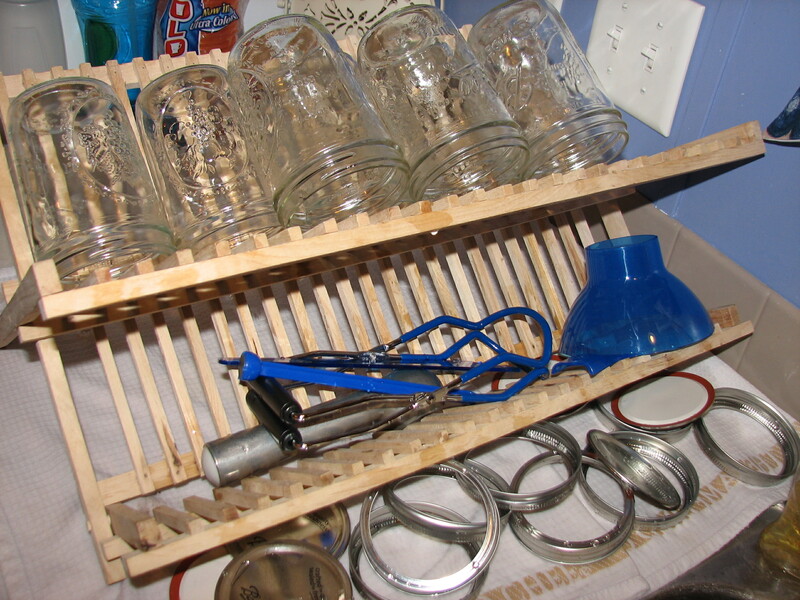 In the meantime, wash wide mouth pint jars in hot soapy water with the 2-part lids and rinse in hot water. 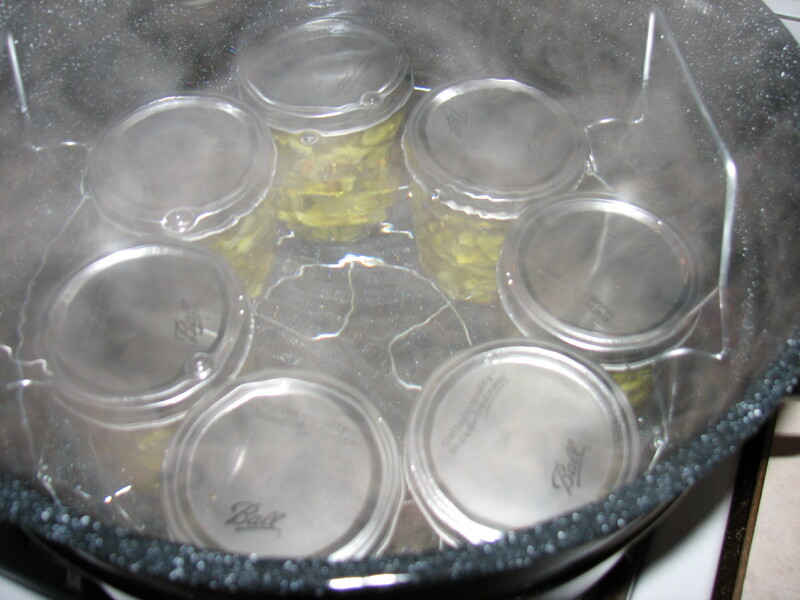 Sterilize the jars and 2-par lids. 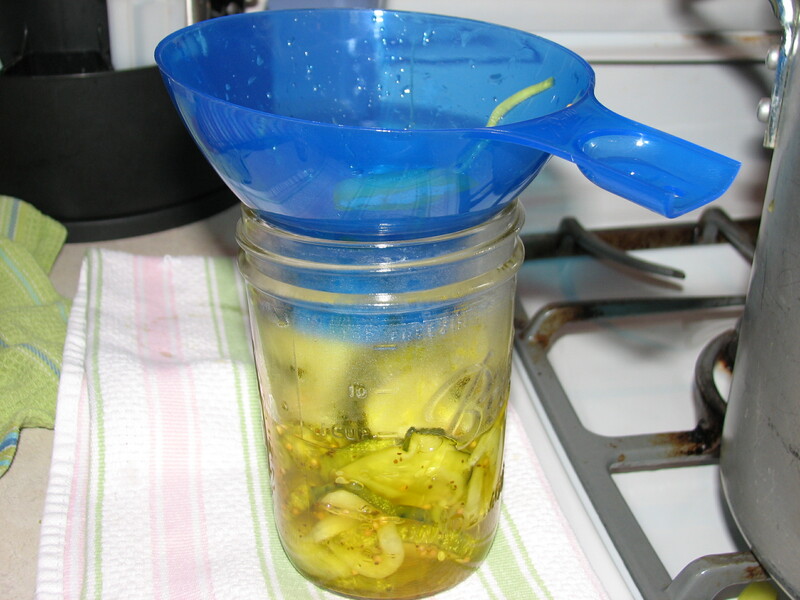 Using a wide mouth funnel, ladle the pickles with the sweet juice in the canning jars. Make sure the juice is ½” from the top of the jar. 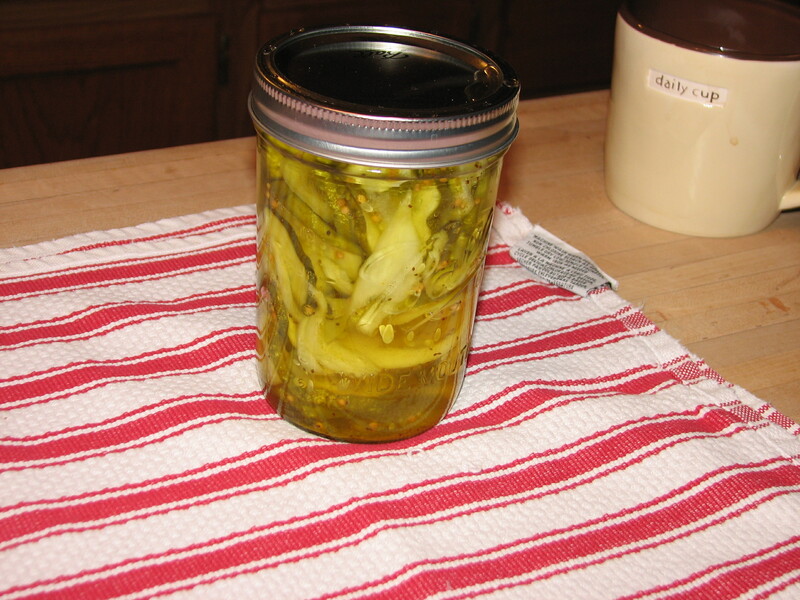 Put the 2-part lid on the jar and put in the hot water canning bath. 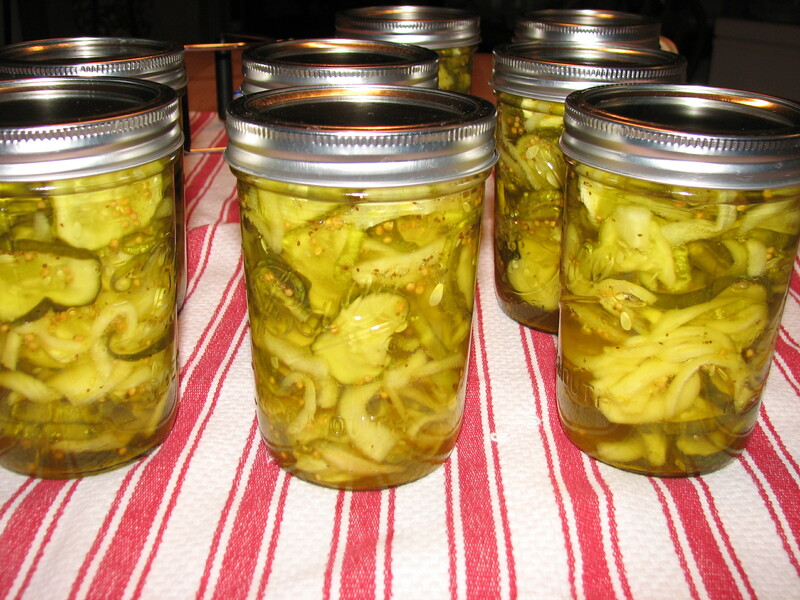 Cook for 15 minutes and remove the jars from the hot water using tongs made for canning jars. I love salads. Sometimes a simple salad really hits the spot and the best part of making the salad does not take a lot of time and effort. Cucumbers are a favorite around my house. A friend gave this recipe a few years ago and with some tweaking the recipe is perfect. We love the freshness, the color and simplicity of the recipe. Wash and slice the cucumbers. I like to slice the cucumbers about 1/8” thick. 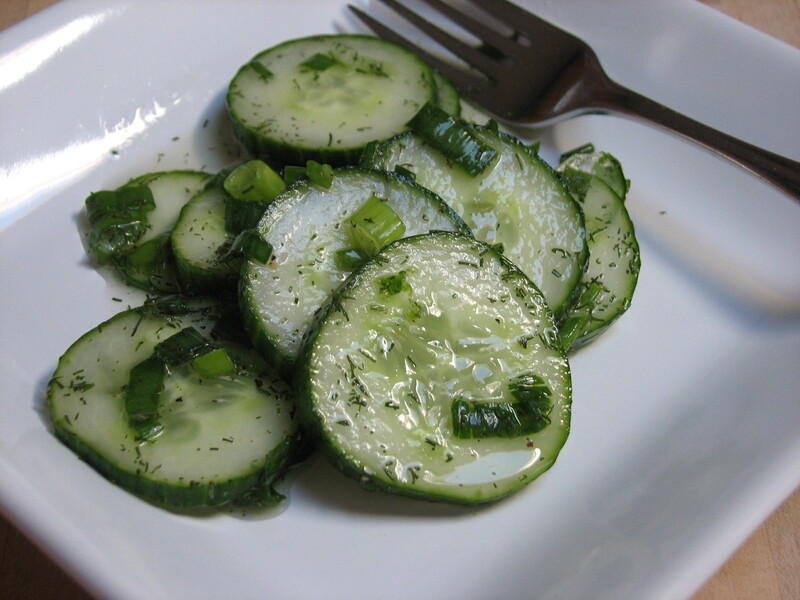 Place the sliced cucumbers in a colander and sprinkle kosher salt on them. Put the colander in the sink and put a heavy plate on top of the cucumbers to allow the excess water to drain out. Leave for about 20 minutes. Rinse the cucumbers and pat dry. 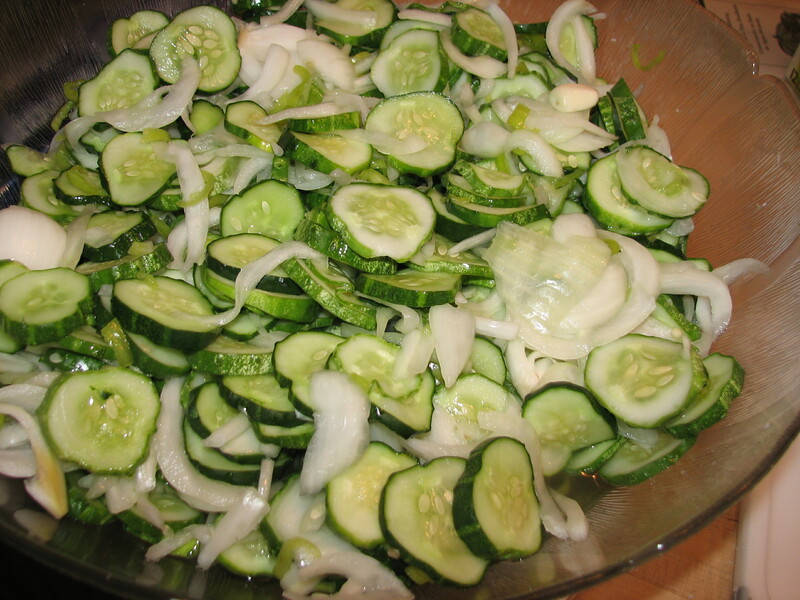 Place the sliced cucumbers in a pretty bowl and add the snipped chives, the sliced onions, dill. In a small bowl whisk the vinegar, sugar, salt and pepper till the sugar is dissolved. Pour over the cucumber salad and toss well. Put the salad in the refrigerator for about 1 hour until thoroughly chilled. Serve with main meal. Enjoy!